Of late, there have been a growing number of cases of bad cops, including retired officers, turning to crime for a living or to help sustain their luxurious lifestyle. If Malaysians cannot rely or trust the men in uniform to protect them from crime and criminals, who can they turn to? 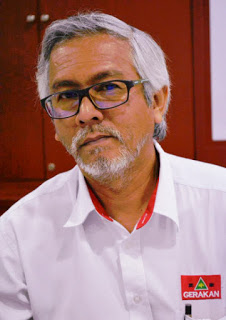 “The cases of bad cops highlighted by the media is most certainly fast eroding public confidence on the Royal Malaysian Police,” Gerakan Deputy Speaker Syed Abdul Razak Alsagoff said. He said for disciplined uniform enforcement unit members to go rogue “is no small matter or problem”. “Something is certainly not right in the force’s administration. 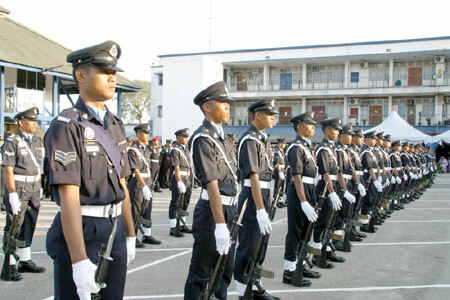 Perhaps the quality of police personnel and discipline needs much more attention then it is given presently,” he added. File photo of ex-policemen Azilah Hadri and Sirul Azhar Umar (heads covered). File photo of ex-policemen Azilah Hadri and Sirul Azhar Umar (heads covered). 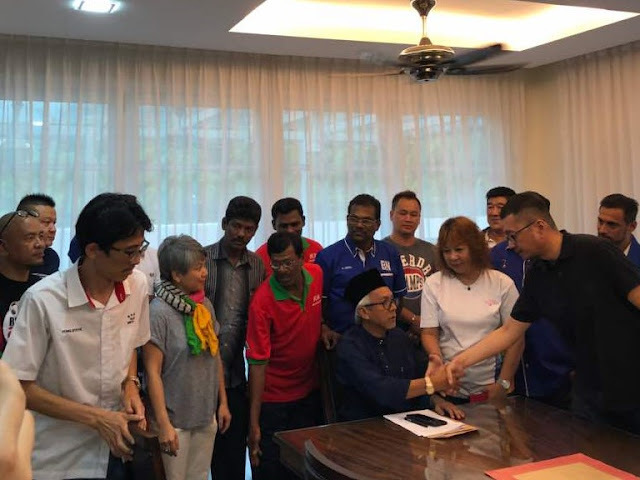 Syed Razak, who is Gerakan’s nominee to contest N.37 Bukit Lanjan in the coming 14th General Election (GE14), said for certain Polis di-Raja Malaysia “needs to review its recruitment SOPs (Standard Operating Procedures) and guidelines to ensure more disciplined and reliable individuals are recruited for training”. “The monitoring of the discipline and work performance of the rank and file must also be tightened at all levels by the superiors or supervisors,” he added. Syed Razak said the Home Minister and the Inspector-General of Police must show more concern with the deteriorating behavior of their men in uniform. “They must not try to sweep matters under the carpet or act lightly. Disciplinary or legal action against bad cops must be swift and harsh to check the rot,” he added. KUANTAN: Four policemen have been arrested and remanded for three days until Sunday (Dec 10) in connection with a burglary in Taman Alam Perdana here. Kuantan police chief Asst Comm Abdul Aziz Salleh said the suspects — three lance corporals and a corporal, aged between 25 and 36 — are believed to have stolen several cartons of cigarettes. He said the 30-year-old house owner had gone to Terengganu on Nov 1, only to find out that his house had been broken into when he returned on Nov 9. "We received a police report on Nov 10 over the break-in, but our investigations did not reveal any leads," said Abdul Aziz. He said that the police received a lead in the form of a video clip on Thursday (Dec 7). IPOH: Cash amounting to almost RM1 million was found in shoe boxes and a safe at the home of a senior police officer in Perak with the rank of ACP (Assistant Commissioner of Police), who is also a former district police chief, here yesterday. Also found were an assortment of jewellery. All the assets were found when Malaysian Anti-Corruption Commissions made a search of his home to assist investigations into suspected corruption and power abuse by the officer concerned. 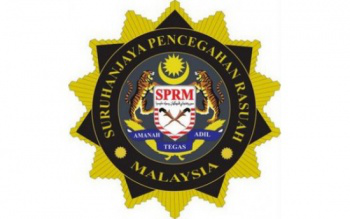 According to a MACC statement, the officer, aged 59, was arrested at the Perak MACC office here at 7.30pm yesterday along with his wife, aged 54, and a 34-year-old businesswoman. "The businesswoman is suspected have corrupt dealings with the former district police chief and is believed to have given a cash gift for his daughter's wedding in February. "The businesswoman is believed to have banked in RM70,000 into the account of his wife in two transactions, RM20,000 and RM50,000," the statement said. MACC Investigation Division senior director Datuk Simi Abdul Ghani when contacted confirmed the arrests and said the trio were arrested when they came to the Perak MACC office to give their statements. He said all three were on remand for five days from today to assist investigations. Earlier today, the senior police officer, who is now based at the Perak police headquarters, was brought to the Ipoh Court complex in MACC lock-up clothes for the remand process. — Bernama"